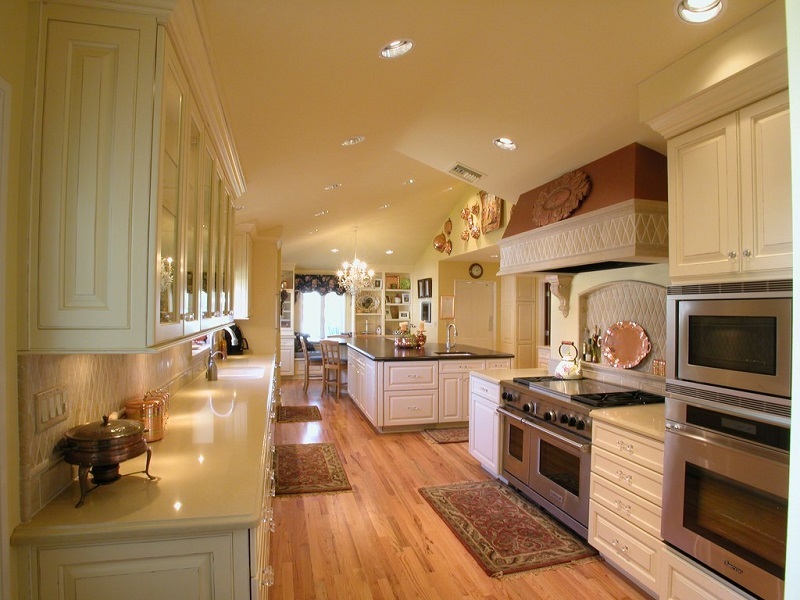 If you are a family person then you certainly fall into the category where kitchen becomes the soul of the house. Many times it’s not designed the way you want or the color scheme is something that you no longer interested in. It happens! Whatever the issue is, you need to either get it renovated or change few of the decor parts to turn it more appealing. But, many times renovation can be very expensive. Contacting the interior designer and getting the process completed takes time and money. If the kitchen is in a good condition but needs a little fixing, here are some of the simple rules that the famous interior decor professionals swear by. You just have to check them out. Though you are not dealing with the complete renovation process, you still have to design a working plan for the things that need to be changed. This will also help you in preparing a small budget. Stick by those rules that keep the costs low. But do not compromise on the quality of the product. In addition to this, if you have a friend who specializes in home decor, then taking his help will do no harm to your project. Replace the boring colors of the kitchen walls with something more refreshing and delighting. This will compel you to spend time in the kitchen preparing healthy and delicious foods and snacks for your family. Keep it bright! 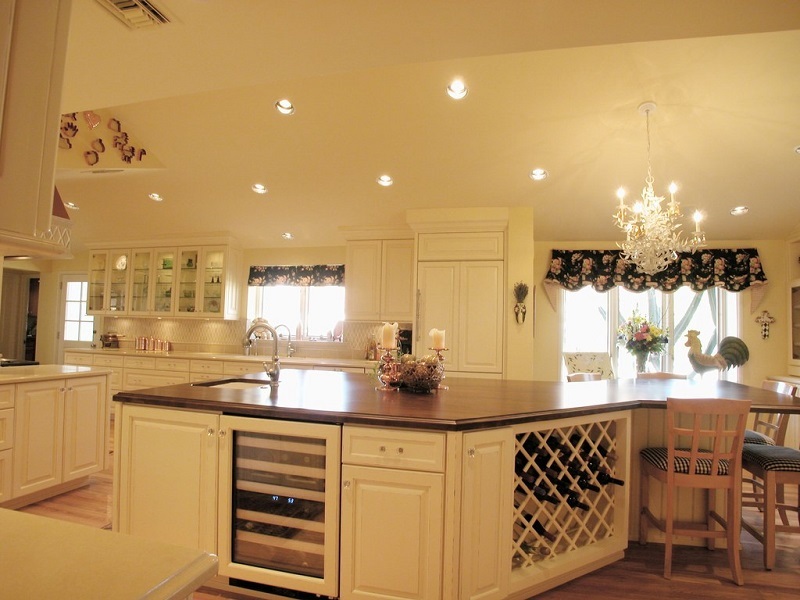 To match with it, paint the cabinets in the light color. So, people often forget about the ceiling. The best way to paint the walls of the kitchen is, keep the ceilings into a dark color and use the contrasting bright color for the walls. This will give you the comfortable vibe and will make space appear larger and airy. Does your old sink spoil the decor of the entire kitchen? Do more than choosing a monochromatic and boring sink that can add value to the decor. If you are thinking about keeping it low budget then change the valve and give it a contemporary look. Take the things in your hands and place a black chalkboard on the walls. If you have some other plans with the walls then do it with your refrigerator. This will be something new for you and your kids. You can list down meals that you are going to prepare for the week. Not only this, you can ask your children for their suggestions and have fun this way. If you keep yourself updated with those beautiful decor magazines or browse the internet for some decor related content then you might have come across the pendant lights. Invite brightness with the other lighting options. They are everywhere from farmhouse kitchen to the modern ones. Replace the kitchen lights with these well-designed pieces and you can see the change by yourself. Along with everything, they are also cheap so you do not have to think twice about it. Those cabinets need your attention. A new color on them will definitely change the appearance of the kitchen. Choose from a wide range of colors to match the interiors. In case you are planning to save some money here, then pay attention to the doors, trims, and shelves more than the other sections. Plants are a major source of fresh air in the house. They have an importance in Feng Shui as well. There are various miniature plants that do not take too much space but they maintain positivity in the kitchen. But if you have a big kitchen then you can also go for some big plants and pots. Why make some big changes when you can definitely make a few and still modify the look entirely. Change the handles, drawer pulls, knobs etc and you will end up with a stylish kitchen decor that you were looking for. These small tips are surely going to create an amazing kitchen decor for you and your family to cherish. Also, if you are looking for modern furniture pieces for the kitchen than get in contact with the furniture companies online for the best prices.